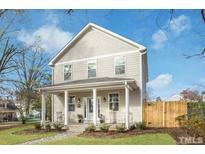 Below you can view all the homes for sale in the Georgetown subdivision located in Raleigh North Carolina. Listings in Georgetown are updated daily from data we receive from the Raleigh multiple listing service. To learn more about any of these homes or to receive custom notifications when a new property is listed for sale in Georgetown, give us a call at 919-928-5027. Outbuilding with finished, heated/cooled ‘man cave.’ Fire pit & patio. NICE! MLS#2247786. 3261. Mins to 5-Points and Downtown Raleigh. MLS#2243839. 1127. Beautiful Custom Home by Urban Building Solutions!Features include Original Glass Door knobs in Foyer,Mahogany Front Dining Room,42" Cabinets/Chef's Kitchen,Quartz,Soft close,Gas Cooktop,Beverage Cooler, Exposed Vent Hood,High-end lighting,Glamorous fixtures & finishings.Master Suite is Large w/a stunning en suite that includes mixed exquisite finishes.Big Walk in closet w/safe.Secondary Bedroom's are large w/great closets &share a beautiful bath Walk up attic is ready to be finished!Double Front Porches & Veranda! 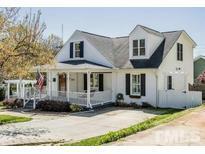 MLS#2243236. 5218. Intricately designed + move-in ready, 1601 Carson stirs visions of gatherings by the fire, in the private yard, & on the town w/ friends. MLS#2242009. 4215. Back laundry room 154 sqft is included in total sqft; seller says there is heat in there. MLS#2236481. 1128.